You are pouring inspiration and soul in creating something amazing and wondering to look for a creative agency theme for your business, Omondo – a business template designed specifically for creative platform, exterior design, corporation projects, company websites, startups, agency sites, portfolio showcase, photography, career, multipurpose business and those that offer creative services. Theme is outstanding with 3 unique homepages with harmony colors skins and creative styles, eye-catching and attractive at the first sight. 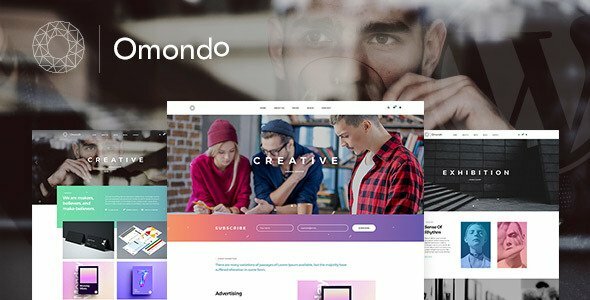 Omondo theme, with built in Ultra Responsive and High Performance functionalities, means you can literally build any type of website you want, quickly and efficiently, and with a quality professional result. Additionally, it is completely User-friendly, Mobile friendly, Ease of use and SEO Optimizable.